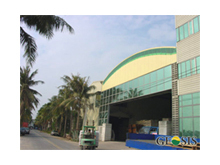 Geosis Corporation is a full service manufacturer of renewable energy products and organic animal feeds. Serving customers nationwide, Geosis is an experienced manufacturer and system integrator. With a comprehensive portfolio of standard and customized products, Geosis is capable of fulfilling an array of demanding applications. Efficient and effective integration enables rapid development of even the most customized projects. Geosis Corporation strives to exceed all expectations because customers deserve outstanding service and value along with every dealer who has placed their trust in Geosis. Sunmia Solar Lighting Solutions is a solar energy company located in the heart of California's Silicon Valley. Our enormous selection of products, from solar panels and solar lamps to LED bulbs, are highly trusted for residential, commercial, and industrial applications. Sunmia is setting new standards in the solar lighting industry through bold innovation, a refined sense of aesthetics, and precision manufacturing. 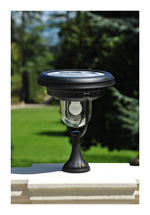 By introducing superior products, Sunmia has continuously redefined the art of solar lighting. Sunmia's products are guaranteed to have the greatest solar energy producing characteristics and the highest efficiency energy transfer rates in the market. At Sunmia, we're committed to achieving business and financial success while leaving a positive impact on society. Each Sunmia product used automatically lowers the carbon footprint of your home or business and the disposal of each of Sumia products is safe, easy, and completely recyclable. Additionally, Sunmia products create an immediate return on your investment by lowering your electric bill granting you independence from utilities, environmental benefit of producing zero waste, and last but not least maximizing solar energy utilization. Geosis Feeds Corporation is an excellent nutrition partner for your opration. We bring innovative solutions that work and a reliable manufacturing process that ensures high quality and organic standards. THe result is much more that just a feed company. Our customers trust in Geosis products motivates us to perform with confidence in all our ventures. Geosis feeds is the new standard in feeds quality. with years of experience, we are constantly working to improve our already high standardsWith a multitude of experience in various industries, Geosis corporation has the capapbility of providing personlized service to our customers to bring you the right combination of resources and perfomance. We are here to answer you every need and perform beyond your expectations. Geosis has excellent feed mining automation production process, using high-quality raw materials and precise formula following a strict quality control procedure. With almost 20 years of experience under our belt, Geosis is proud to serve the nation and the world with the greatest appreciation for our customers.